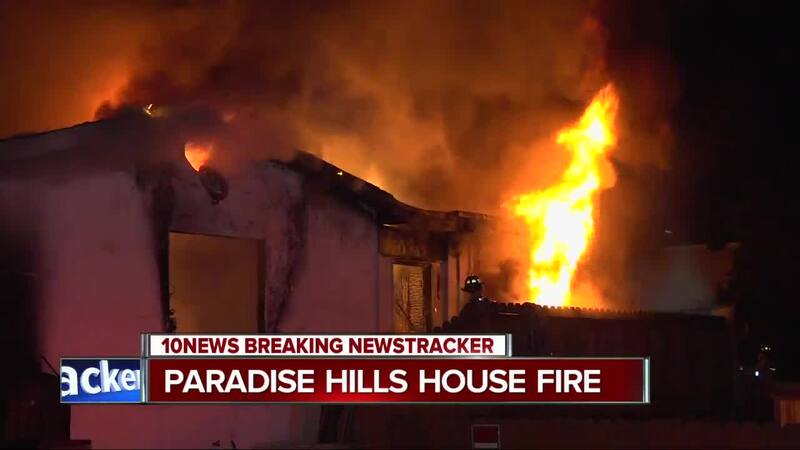 SAN DIEGO (KGTV) - Residents were forced to flee from their Paradise Hills home Friday morning after a fire broke out in a garage and quickly spread to the house. The fire was reported shortly after 4:40 a.m. at a home in the 2500 block of Deauville Street. There is no immediate word on what caused the fire, but firefighters believe the blaze erupted in a garage next to the house. As flames from the garage spread to the home, four adults and a child inside were able to escape to safety. Crews were able to douse the flames after about 20 minutes.